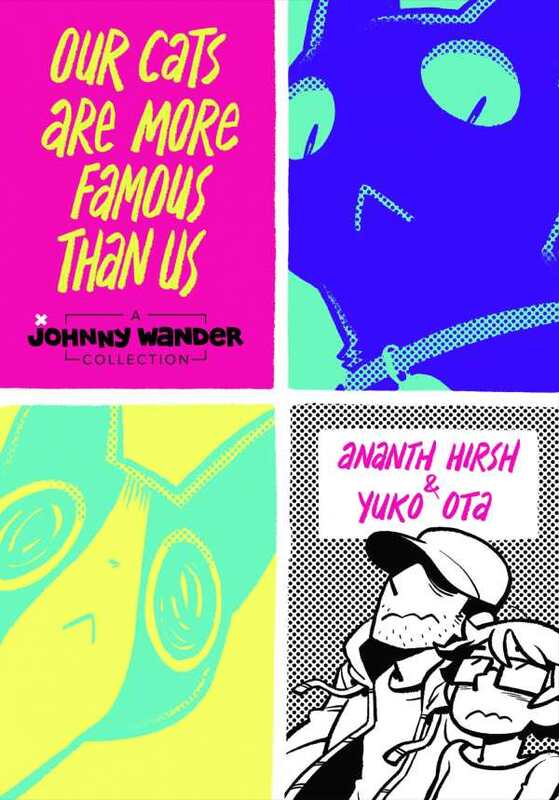 Ananth Hirsh and Yuko Ota have created a cottage industry of cute, with the publication of Lucky Penny in spring 2016, a variety of online projects at their site www.johnnywander.com, and now a thick collection of their autobiographical comics, Our Cats Are More Famous Than Us. Relating tales of post-college life, including friends, family, cats, landlords, and strange everyday experiences, these comics—most one page apiece—contain a plethora of humorous, relatable, and yes, cute observations. Were this a YouTube channel, there might be many, mostly failed contenders for such entertaining self-exposure; but in illustrated form, what stands out as unique, aside from a well-developed sense of humor, is that Hirsh and Ota also boast undeniable talent. Pacing, facial expressions, and general creativity are all noteworthy, and the end result is a collection that gains momentum slowly, but never falters. An example of the book’s success is the occasionally appearing “hourly comics” format, in which a number of small panels detail the passage of time in a single day, via hourly checkpoints. It’s a technique which, in the wrong hands, could quickly become tiresome—but Hirsh and Ota manage to keep it fun, while using the template to showcase the often-random joys and frustrations of daily life. The volume ends with a satisfying conclusion and the hint of a new chapter about to begin in the lives of two gifted graphic storytellers.